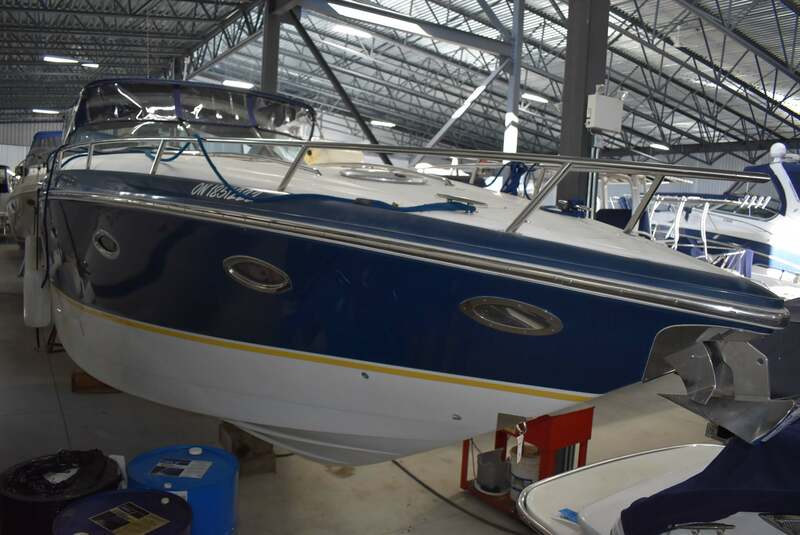 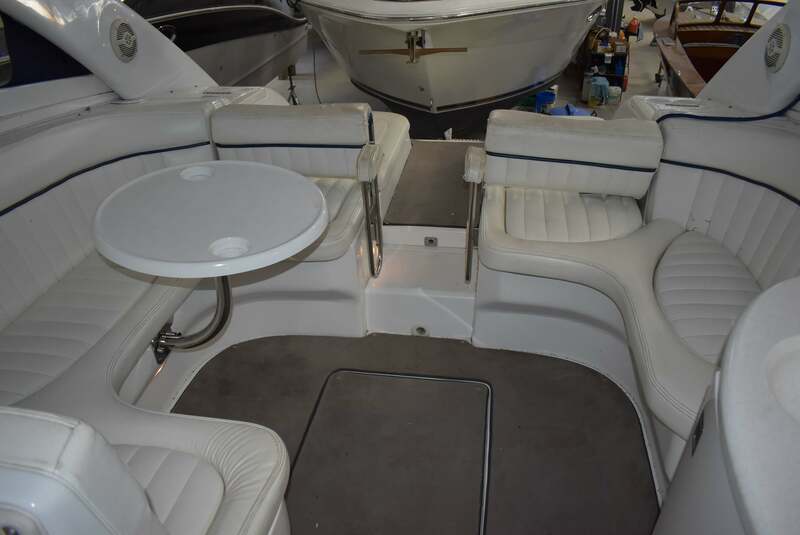 This two owner 360 Cobalt was purchased new from Ed Huck Marine and we have serviced and stored it exclusively. 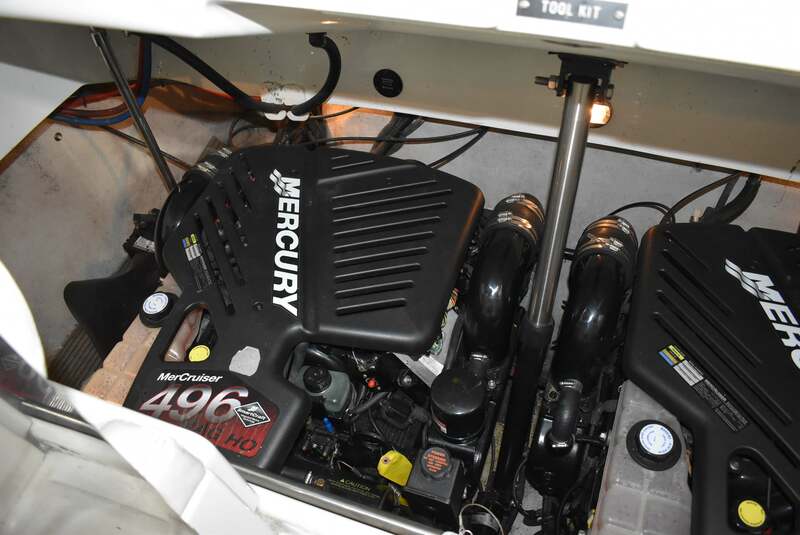 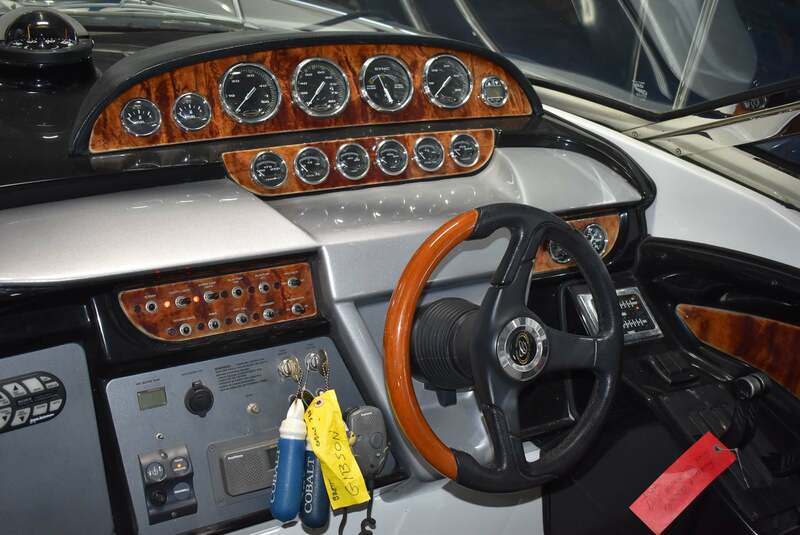 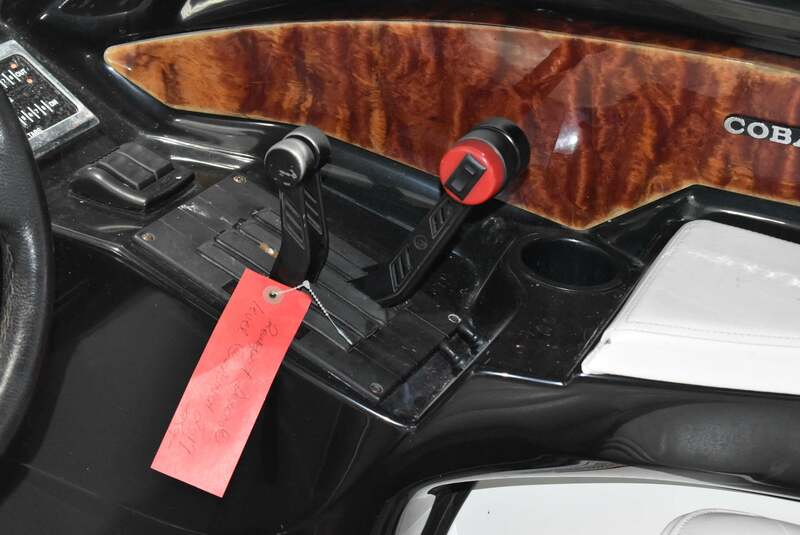 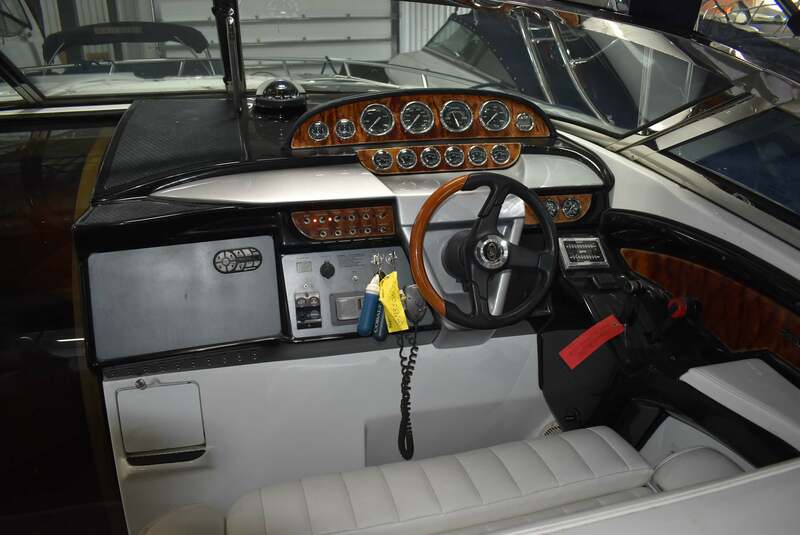 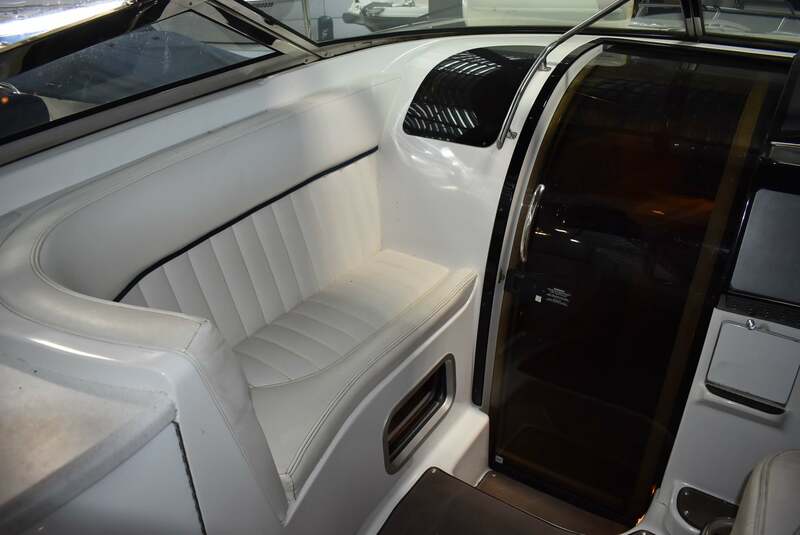 Powered by twin Mercruiser 496 HO 425 hp engines this classy performance cruiser delivers a high-octane blend of style, comfort, fun, and performance. 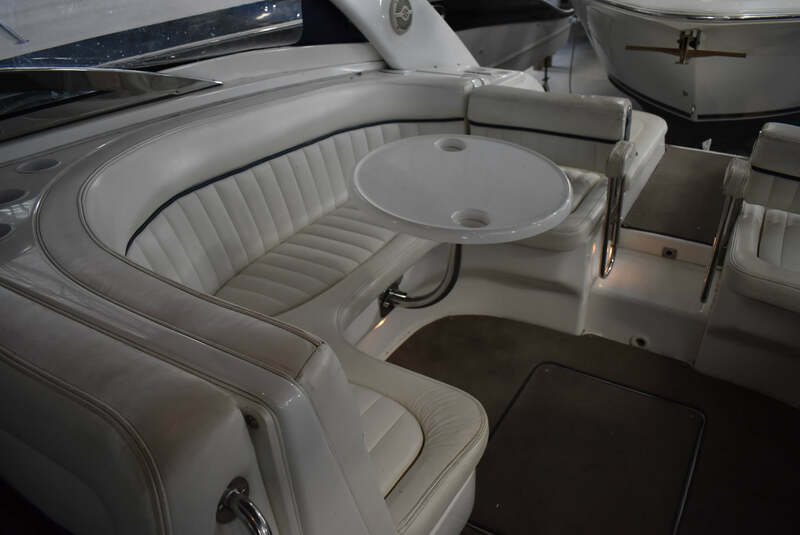 The 360’s helm & cockpit area will comfortably seat a large number of guests. 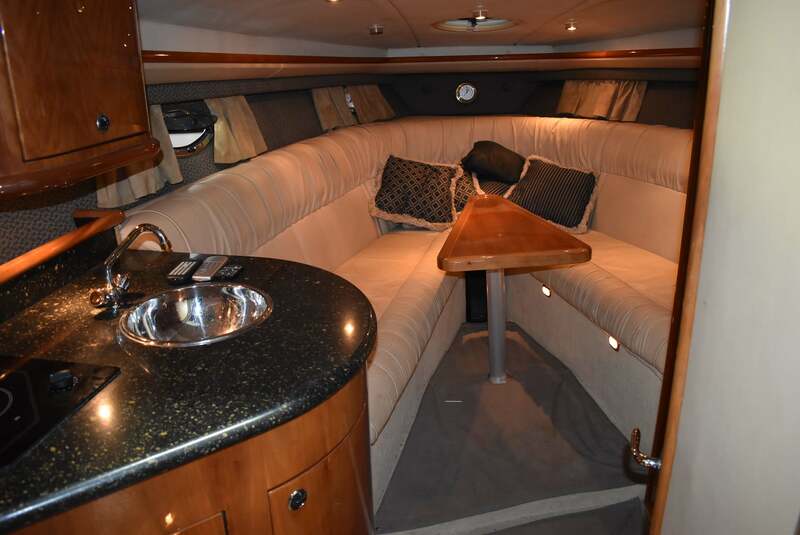 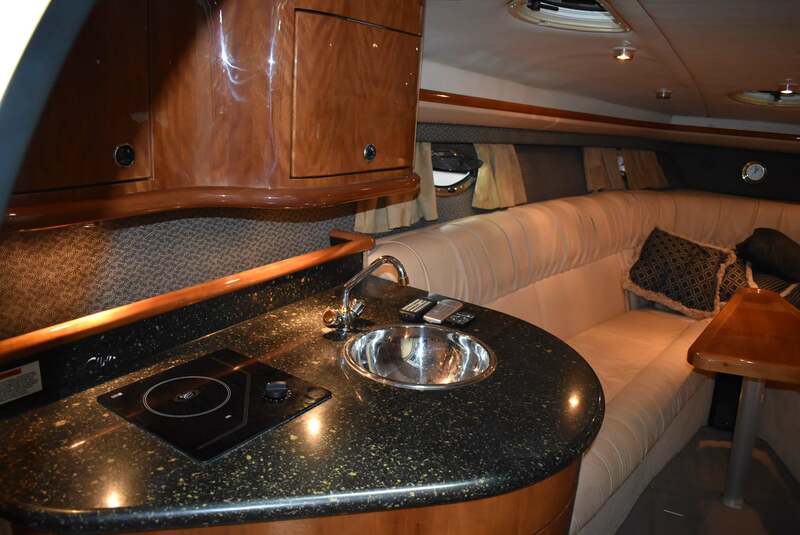 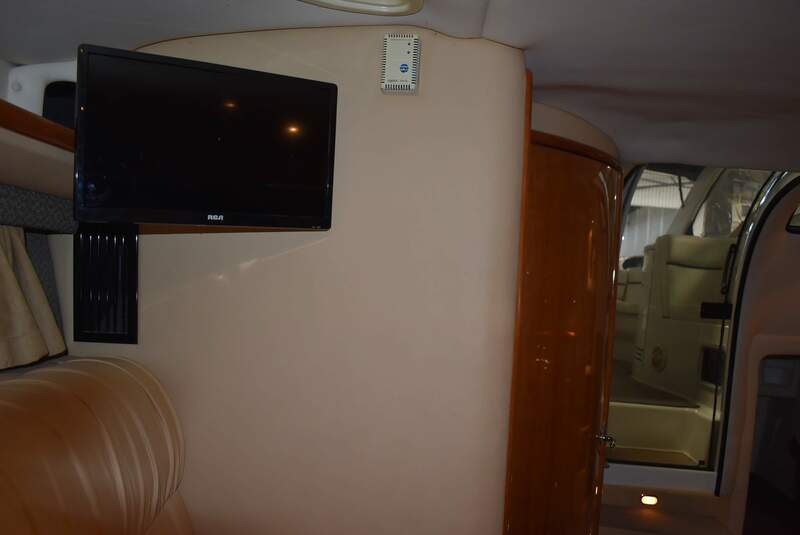 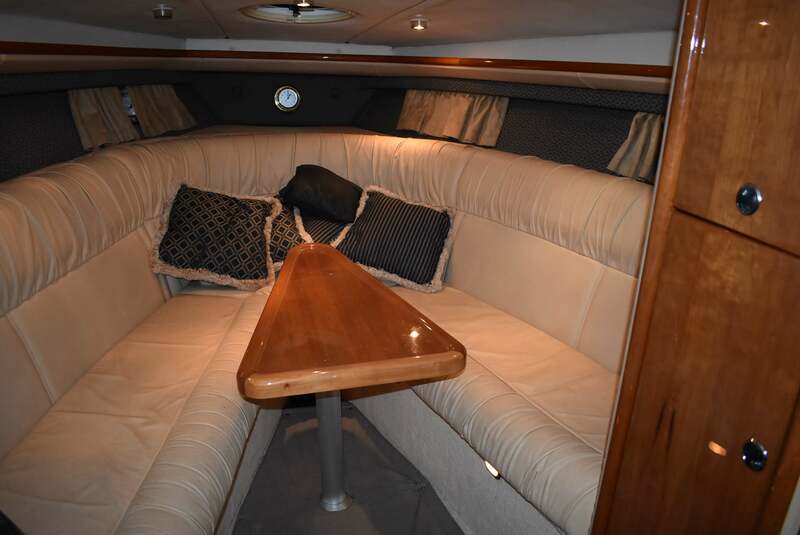 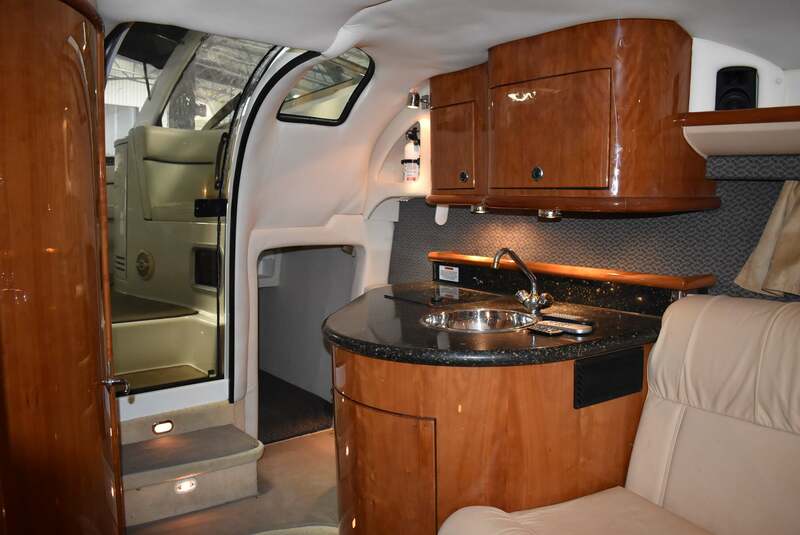 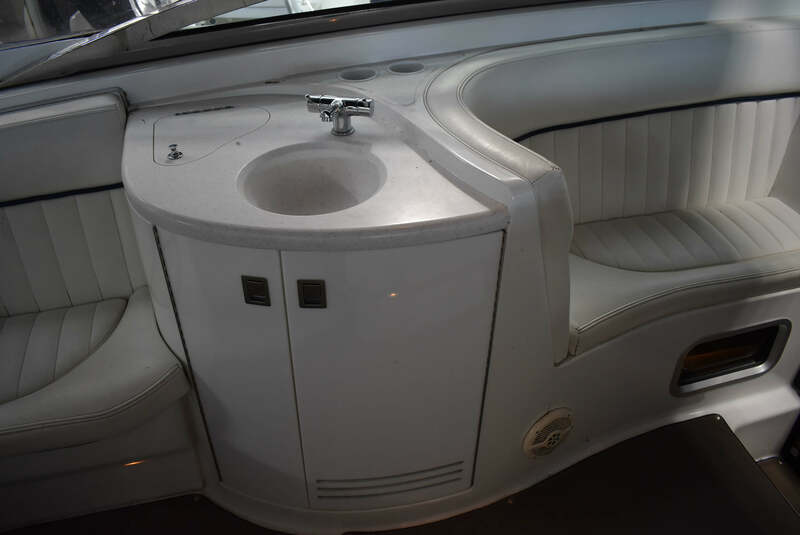 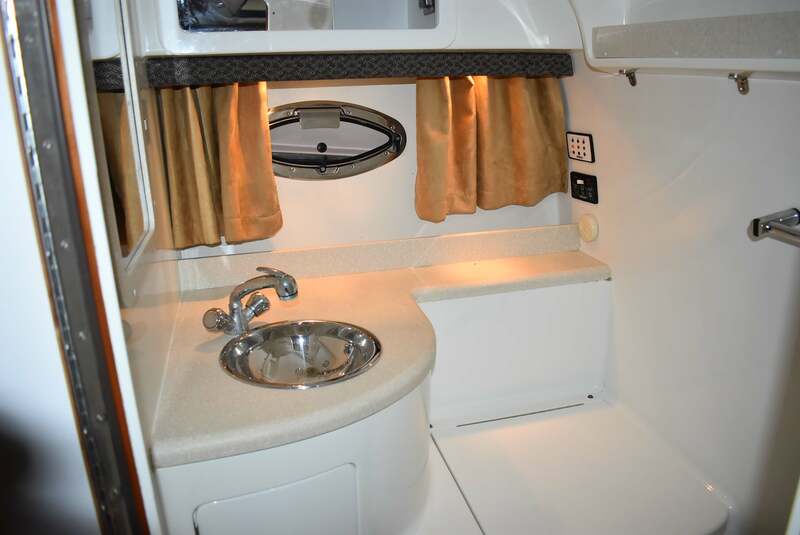 Below deck is a well appointed compact galley, plush ultra leatherette dinette that converts to a v-berth and an enclosed head/shower. 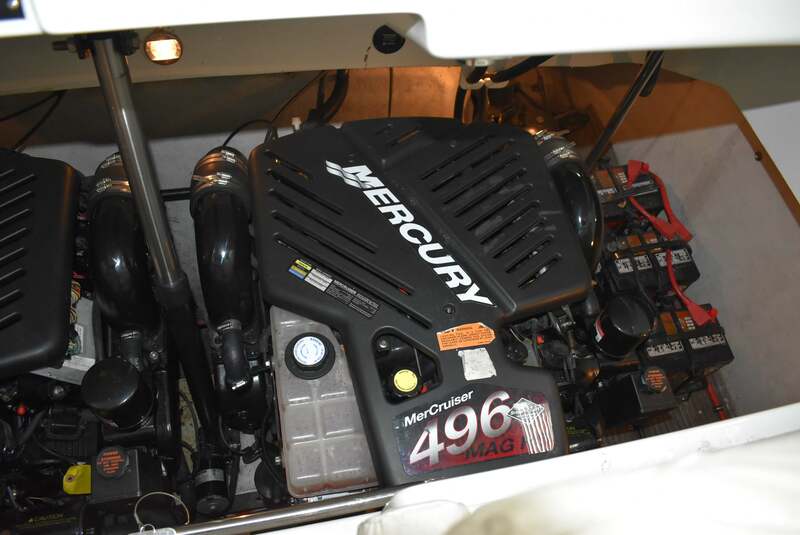 Recent maintenance includes drives new gimbal bearings, new bellows, rear shift cable, anodes, new impellers, new serpentine belts both engines, new spark plugs. 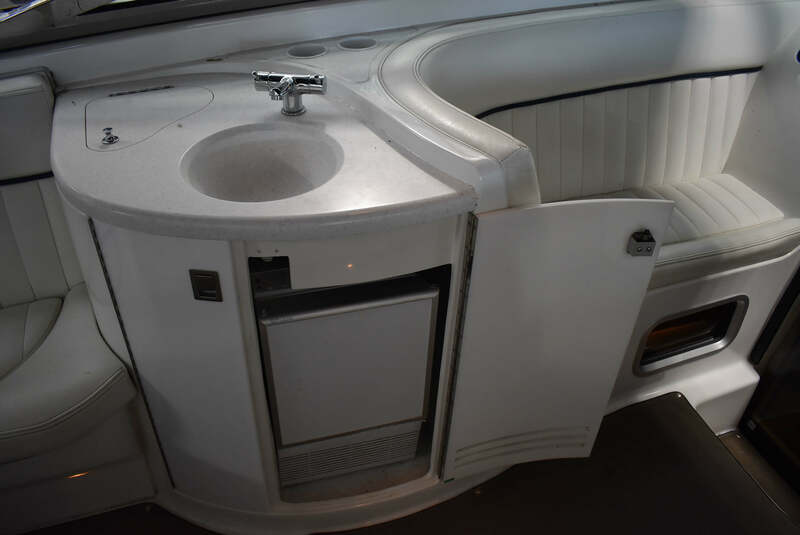 The hull color is classic navy, options include a vacuuflush head, transom shower, arch, bimini top, docking lights, shore power, 10″ stainless steel rails.